[Corrected 3/3/18, 10:41 am. See below.] Fasten said its U.S. ride-hailing service will shut down Monday after the startup agreed to be acquired by Russia-based transportation network operator Vezet Group. The purchase price wasn’t disclosed. Boston-based Fasten had raised nearly $20 million in equity, debt financing, and other securities, according to SEC filings. Its investors include Almaz Capital and UFG Private Equity. Led by a group of Russia natives, Fasten launched its ride-hailing mobile app in Boston in October 2015 as an alternative to popular apps like Uber and Lyft. Part of its pitch was that it took a smaller cut of each ride fare than competitors, meaning drivers would make more money, while riders would still pay low prices, the company said. 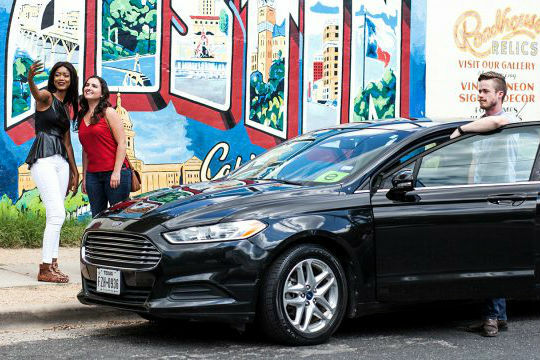 Fasten said its drivers have completed over 5 million rides in Boston and Austin. But it’s going to “freeze” all U.S. operations, and Vezet will use Fasten’s technology to boost its own ride-hailing business in Russia, which currently operates in more than a hundred cities, according to a press release. Vezet has already launched the Fasten app in Krasnodar, a city in southwestern Russia. The Fasten deal is the latest bit of consolidation in the global ride-hailing app war, as players jostle for position. Other recent acquisitions in this sector include China-based Didi Chuxing’s purchase of Brazil’s 99, Europcar Group’s purchase of London-based Brunel, and Gett’s acquisition of Juno.